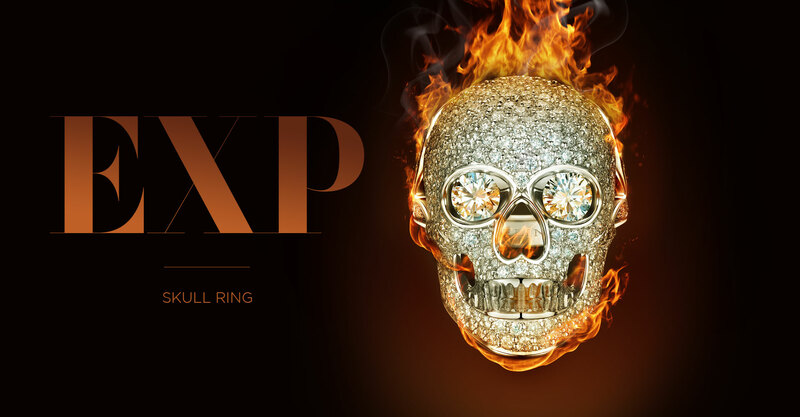 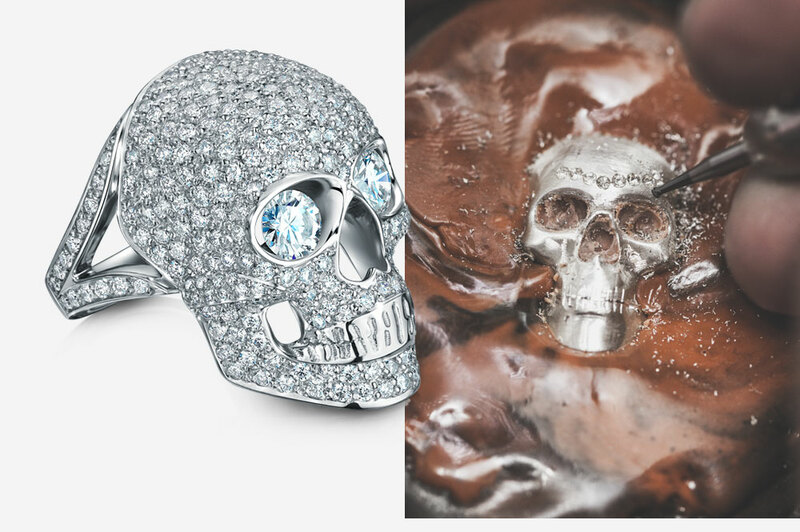 One of a kind diamond Skull Ring, handcrafted in platinum and featuring 3.0 carats of VVS quality diamonds all individually set by hand. 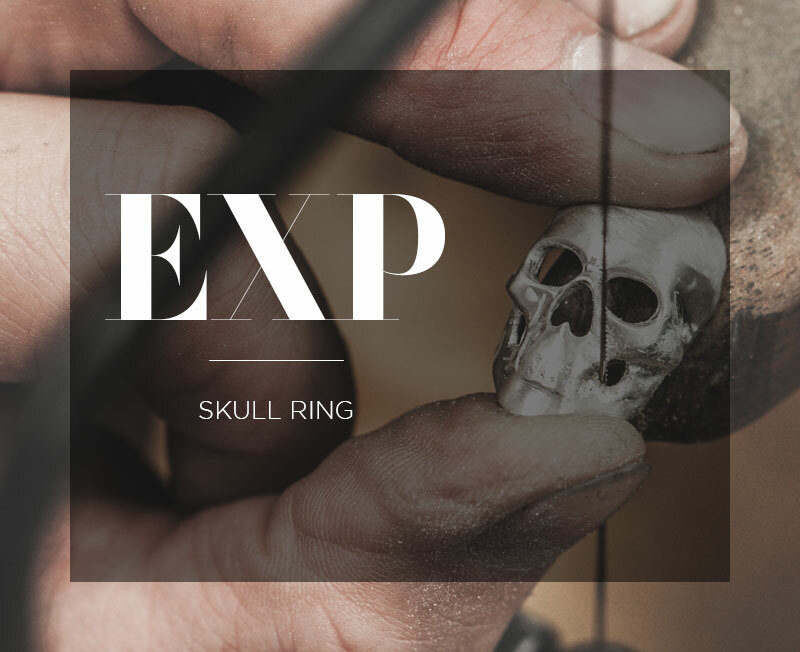 An unusual engagement ring which attracted much attention and lead to a series of artistic commissions for Robin. 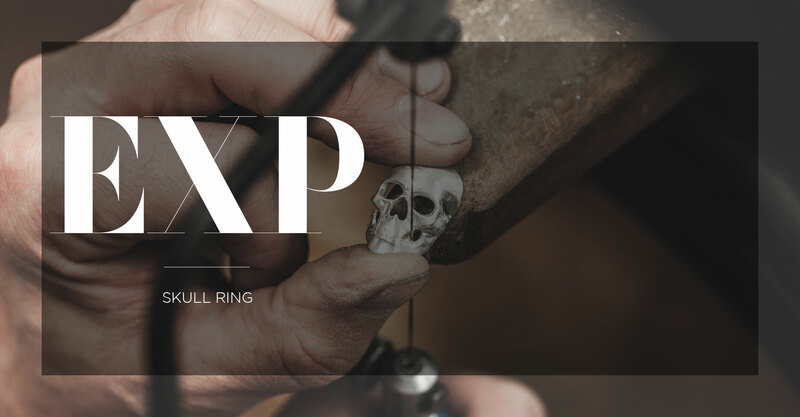 ‘I very much enjoyed working on the Skull Ring, pictures don’t really do it justice, it’s got real character, like it’s alive’. 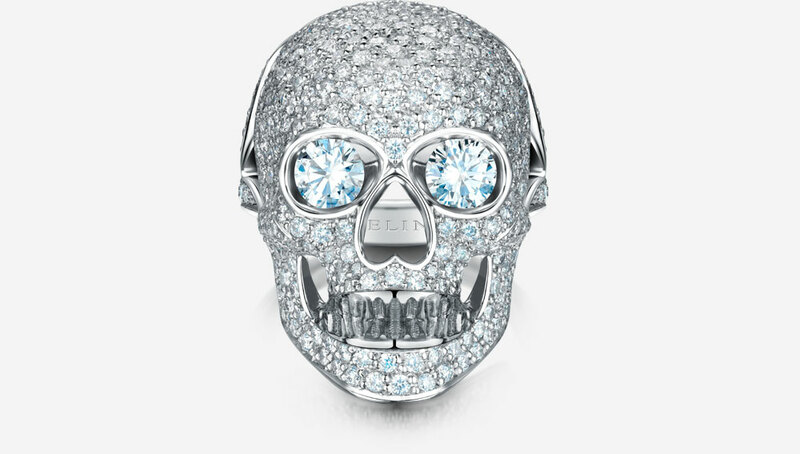 Made from solid platinum, Robin hand carved and assembled the skull, the intricate diamond pavé detail was then marked out and each stone set by hand.